China as drawn on Chinese Global maps. The maps drawn by a country (out of its free will) tell its ambition for the future. 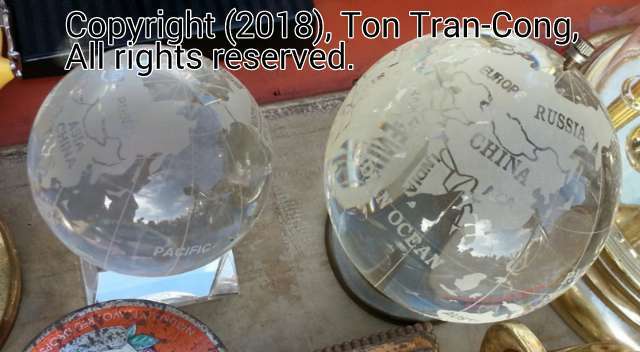 Figures 1, 2: Maps of China on Chinese made glass Globes. What has happened to Vietnam on the Southern border of China? See the smaller globe on the second figure for clearer details. ← Soup of Parsnips and Tomatoes (Canh củ cải trẳng).